John Fraser has debuted new dishes at the museum's fourth-floor restaurant. John Fraser, the New York-based chef behind Nix and The Loyal, has signed onto an ambitious new dining project. 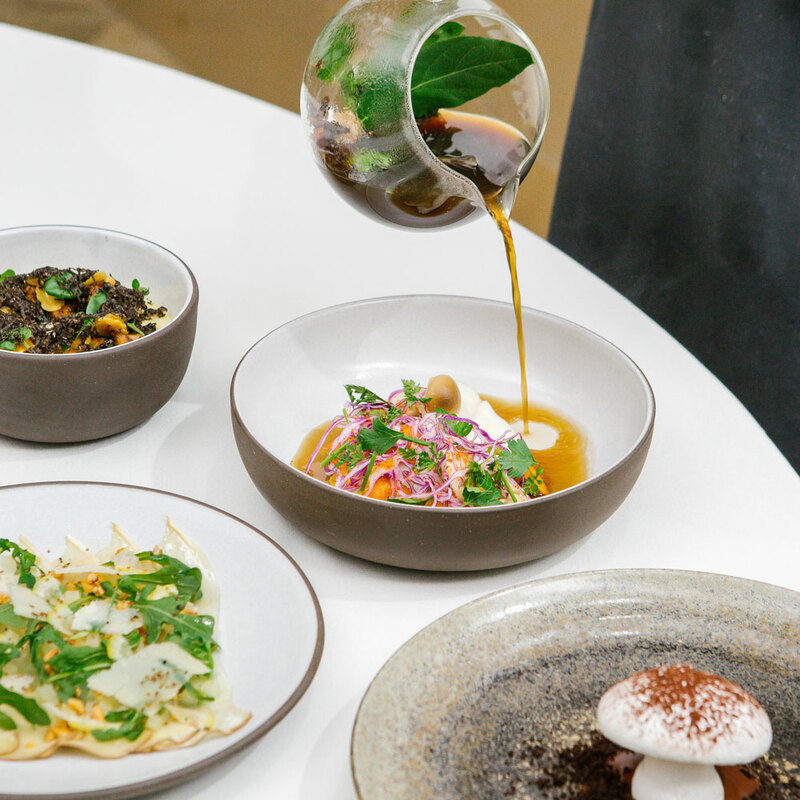 On Monday, February 4, the Metropolitan Museum of Art announced its partnership with Fraser, who developed dishes for The Met's fourth-floor restaurant, The Dining Room. Fraser's menu items, which are now available, will rotate seasonally. This marks the first time the Upper East Side museum has collaborated with a chef in such a long-term capacity—and the first time Fraser has partnered with a museum. His five dishes for winter, which include royal trumpet carpaccio and wild mushroom galette, will supplement The Dining Room executive chef Fred Sabo's current menu. "As a long-time visitor and devoted fan of The Met, I am honored to share my culinary vision with the guests of The Dining Room," said Fraser in a statement. "Pairing my style of cooking with the artistic experience at The Met is a unique and refreshing new challenge." Fraser, who earned a Michelin star at the Nix, is also handling food and beverage for the forthcoming Times Square Edition, which is set to open in February. Last summer, the Dining Room—which for years had only been available to members of the Met—opened up to the public. The Dining Room, located on the fourth floor of The Met (1000 5th Ave.), is open for lunch Monday through Friday, 12 to 2:30 p.m.; Saturday, 11:30 a.m. to 3 p.m.; and Sunday 11 a.m. to 3 p.m. Dinner is available Friday and Saturday only, 5:30 to10:30 p.m.